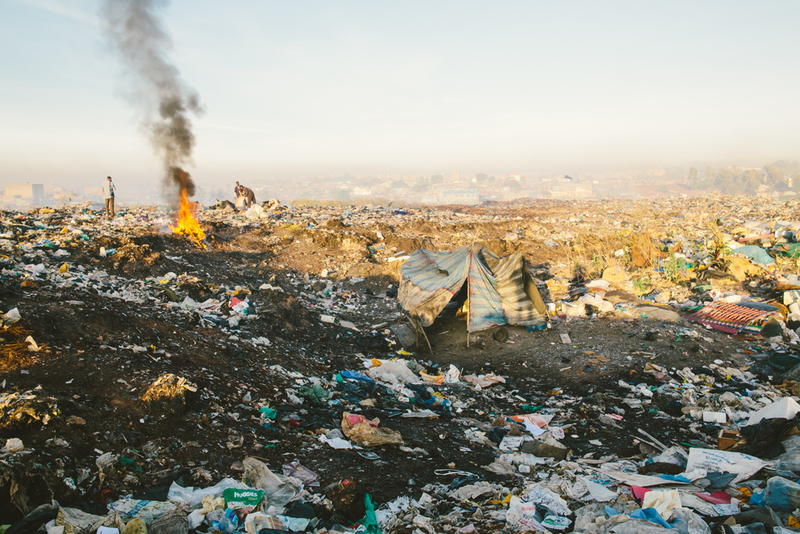 The need at the Dandora trash dump community in Nairobi, Kenya, is high, and Trash Mountain Project is exploring the opportunity to work with local leaders in this community. The complexity of the problems that exist are unique, and we will continue to research and develop a plan that will have a long-term impact on the lives of the children and families living and working within the community. A small team from TMP traveled to Africa with Micah Albert, an award-winning photojournalist, who we met through some fairly unusual circumstances. After getting to know him over the past several months, we are all confident that partnering together to bring hope and change to the Dandora trash dump community is our best chance at having a long-term impact. Micah has an extensive background of research and local partnerships in Kenya through his work in photojournalism and has spent a decade working in North, Central, and East Africa and the Middle East. He has been internationally recognized and has won awards for his work specifically in Dandora. You can read more about his experiences and see photos on his website. We will be working closely with Micah as the story unfolds and will be utilizing our gifts in conjunction with his own as we develop the Dandora Project plan.